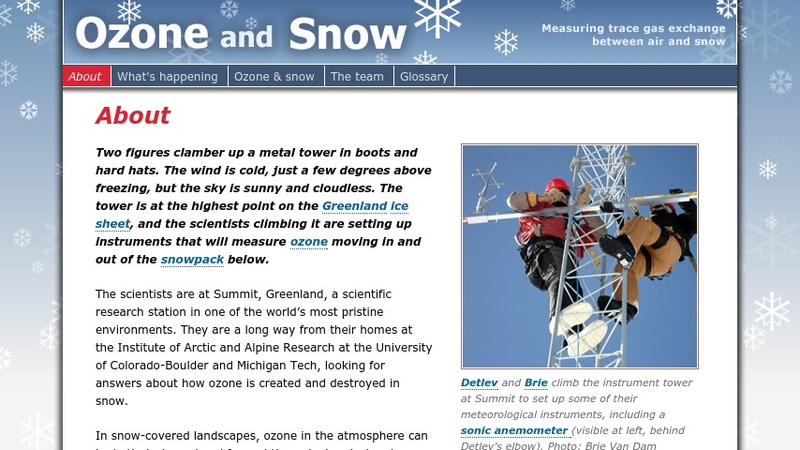 This web site describes a research project at Summit, Greenland. A team of scientists are measuring the amounts of ozone absorbed and interchanged from the atmosphere into the snowpack. This will lead to better global climate models. Topics include a description of the project and what is known about ozone fluxes between air and snow. A page updated every week or so reports field and lab work on the project. There is also a glossary and profiles of the researchers involved in the project.